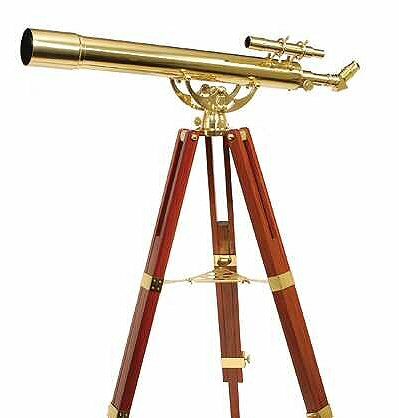 Our Helios 80900 traditional brass telescope is ideal to grace the balcony, library, conservatory or drawing room of a fine house. 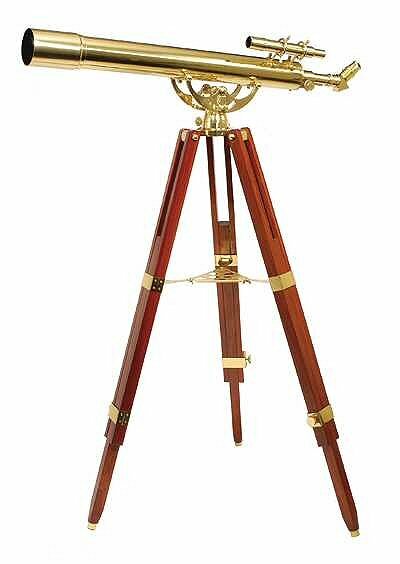 These beautifully crafted, hand-polished, solid brass telescopes have been manufactured to reflect the workmanship and materials of a more elegant bygone age. The magnificent, highly polished brass, is complimented by tripods made from finest quality mahogany wood. Features high quality fully coated optics making them highly functional products. All models provide erect images, so can be used for terrestrial viewing as well as for basic astronomical observations. Magnification 36x.